You think not? Then, why else would the Beeb show the following two news items? The first showed a young journo in sunny Benidorm, ostensibly (That's a good word; must look it up.) to interview Scots who had moved there about the effect Brexit would have on their lifestyle. My first question is... could anyone give a monkey's? It is a news programme, for goodness' sake; why should some ex pats' views on something that isn't happening for another year be considered worthy of broadcast? And why did the beeb send someone to a sunny holiday resort? If the item was necessary at all, the individuals could have Skyped their views in without a flipping reporter and cameraman being shipped out there. The second news item concerned Brexit again. This time it was an item filmed in Edinburgh and was from a gin distillery which exports much of its produce. Again it was connected with the effect Brexit would have. At least this time it was a bit more relevant as it was aiming to pinpoint the changes that leaving the EU would have on this successful business. Sorry pardon excuse me? Why? You've made your report, why do you have to provide a follow up as to where a lorry load of gin ends up? Because of that opening discussion, that's why. It's a wee jolly. Nothing more. A free, all expenses paid, jolly! The worst part? They work for the British Broadcorping Casteration and who is paying for these little trips abroad? Us. That's who. It's not right. Fair enough if it was a privately owned tv company that raises funds through advertising, but the beeb is financed by the public paying a licence fee. We pay to keep it going and every year there is a parliamentary debate about raising the licence fee by another few percent to 'maintain the high standard of programming'. Well, do you know what you can do Mr director general? [How can he stick a licence fee anywhere? - Ed.] No, not that. No Mr director general, you can flaming well stop sending reporters out on unnecessary jollies! And do you think they travel cattle... sorry... meant economy class on Ryanair? Of course not. I’ll wager they always turn left towards business/first class when they get onto an aircraft. Let’s just put that into context, shall we? 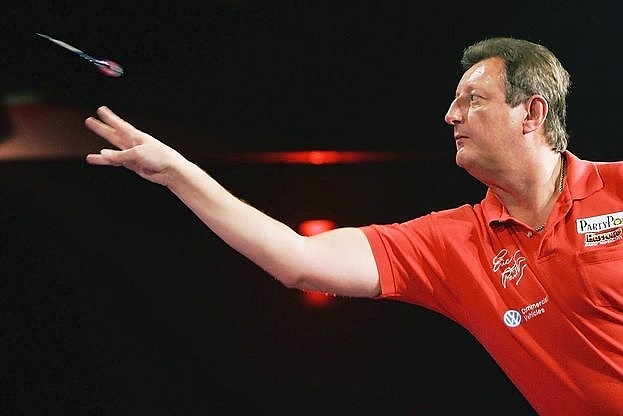 Alexander the Great conquered the world; Eric Bristow won a game of darts. Were any famous or notorious people born on the 7th of April? Of course. Here are some I’ve even heard of. William Wordsworth 1770 (Poety bloke. I reckon he was on something when he wrote about wandering about like a cloud and thinking a crowd is a bunch of daffodils... something like that, anyway. [I think you’re on something. - Ed. ]), Will Keith Kellogg 1860 (Will Keith Kellogg what? Inventor of lazy breakfasts. ), Walter Winchell 1897 (Gossipmonger. ), Percy Faith 1908 (Composer and orchestrator [Why are my eyes watering? - Ed.]. Have a clip. Apparently, this was number one in the 1960 hot 100... Theme from A Summer Place. If that was hot, what were the rest like? ), Eleanora Fagan 1915 (Who? Oh, Billie Holliday. Aka Lady Day. Another clip? Here is an apt song on the 50th anniversary of the killing of Martin Luther - Strange Fruit. ), Ravi Shankar 1920 (Sitarist and rhyming slang. A clip? Who’d have thought Bing Crosby was a fan? ), James Garner 1928 (Laid-back actor. ), Andrew Sachs 1930 (Ectaw. Not from Barcelona. ), Wayne Rogers 1933 (Actor. Trapper John. ), Ian Richardson 1934 (Ectaw. As Francis Urquhart famously said...), Freddie Hubbard 1938 (Trumpeter. Have some jehhhzzz. ), Francis Ford Coppola 1939 (Film director. Factoid: Godfather II of 1974 was the first sequel to win the best picture Oscar. ), David Frost 1939 (Media personality, journalist, writer and comedian, it says here. ), Peter Fluck 1941 (Puppet maker and illustrator. ), Gorden Kaye 1941 (Actor. Starred in the hilarious, it says here, Allo Allo. ), Mick Abrahams 1943 (Geetarist. Here is a bit of Blodwyn Pig. ), Dennis Amiss 1943 (Crickety bloke. ), Gerhard Schröder 1944 (German Chancellor. ), Gerry Cottle 1945 (Circus owner. ), Martyn Lewis 1945 (Newsreader. ), Florian Schneider 1947 (A bit of Kraftwerk. Another clip coming up. Beep beep. ), John Oates 1948 (Daryl Hall’s sidekick. Here’s another clip. Ever wondered why he didn’t sing much? Wonder no more. ), Bruce Gary 1951 (Drummer. Here’s his most famous toon. All together now. Ooh my little pretty one...), Janis Ian 1951 (Singer/songwriter. Here’s perhaps her most well-known song... At Seventeen. ), Jackie Chan 1954 (Kicky, martial arty type bloke. ), Russell Crowe 1964 (Ectaw. ‘There’s nothing like sitting back and talking to your cows.’ Wise words there, mate. ), Tim Peake 1972 (Spaceman. ), Duncan James 1978 (A bit of Blue, now an ectaw. A clip? Here’s Too Close. ), Franck Ribery 1983 (Homme de football.) and Humza Yousaf 1985 (Politician.). Matt Ritchie was denied one-on-one by Huddersfield keeper Jonas Lossl before Dwight Gayle saw his lob drop just wide of the post. It looked like Huddersfield would hold on for an important (and rare) point until Ayoze Perez turned home Kenedy's smart cross in the final few minutes to secure the win for Newcastle. Ryan Christie rounded Saints goalkeeper Alan Mannus to slot home the first, then turned provider when he slipped through Stevie May to score. Greg Stewart tapped in Shay Logan's goal-bound effort to make it three, before Matty Willock nodded in a St Johnstone consolation. Stewart got his second of the day when he hammered a shot into the far corner. The visitors thought they had taken the lead when Conor Sammon's header was saved, but Miles Storey's intervention led to the assistant's flag. Within seconds they were behind when Jamie Maclaren turned in Martin Boyle's cross at the near post. Paul Hanlon headed in Scott Allan's cross, before Danny Devine was sent off for Thistle after a second yellow card. Ex-Motherwell man Lee Erwin's stylish turn and shot put Killie in front early on. Uh oh, The Grambler has selected all away results; I predict trouble. Let’s see how much we could win in the unlikely event that the results go as predicted. Hmm. That is quite whopping. Teaser time. Yay! Last week I asked you which player has scored premiershit hat tricks on two occasions but was on the losing side both times. The answer was Guernsey’s greatest export (after butter and flowers), Matt le Tissier. The first occasion was in 1993 when Southampton visited Oldham (Yep, they really were in the Premiershit.) and were beaten 4 - 3. The second time it happened was two years later when Nottingham Forest visited and beat Southampton by 4 - 3. One for this week? How about this? There are six footballers currently still playing who have scored over 100 Premiershit goals - who is the youngest of these? Have a bonus question. Who was the youngest ever player to rack up 100 goals in the Premiershit? Hmm... One to start a wee discussion in the pub. And finally, Cyril? And finally, Esther, I am indebted to the ladies known collectively as Fascinating Aida. You may recall an item I included many moons ago called Cheap Flights. This week’s topic reminded me of a song they performed in the aftermath of Brexit. For your finishing clip of the week, ladeez and gennulum, please enjoy So Sorry Scotland. WARNING: THIS SONG CONTAINS SOME VERY UNLADYLIKE EXPRESSIONS. IF YOU ARE EASILY OFFENDED BY BAD LANGUAGE, WHY THE **** ARE YOU READING THIS?